How do I prepare for this treatment? Advanced radiofrequency technology to tighten skin. 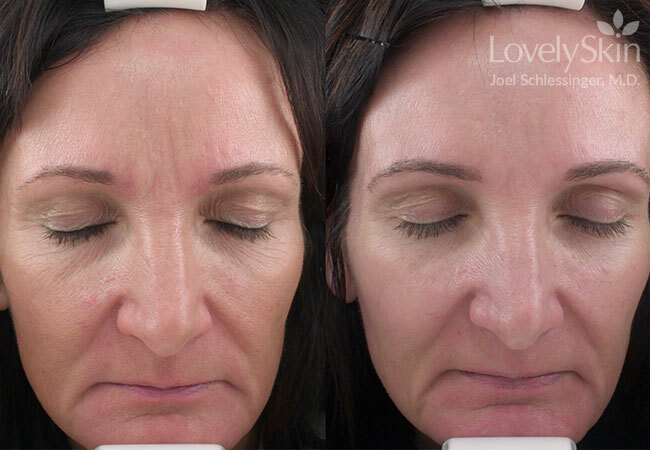 After full face Pellevé treatment. Treat mild to moderate age lines on the face and neck with Pellevé. The Pellevé non-invasive wrinkle treatment delivers advanced radiofrequency waves at a gradual pace to the dermal tissue, heating the skin to improve existing collagen and encourage the formation of new collagen. These changes also lead to the tightening of sagging or crepey skin and a reduction in the severity of wrinkles. (See the Pellevé before and after pictures.) The Pellevé treatment is often described as feeling similar to a warm massage with minimal to no discomfort or side effects. During this non-invasive wrinkle treatment, the Pellevé GlideSafe handpiece is massaged around targeted areas while you act as a guide to the depth of the heated sensation. Before and after full face Pelleve. 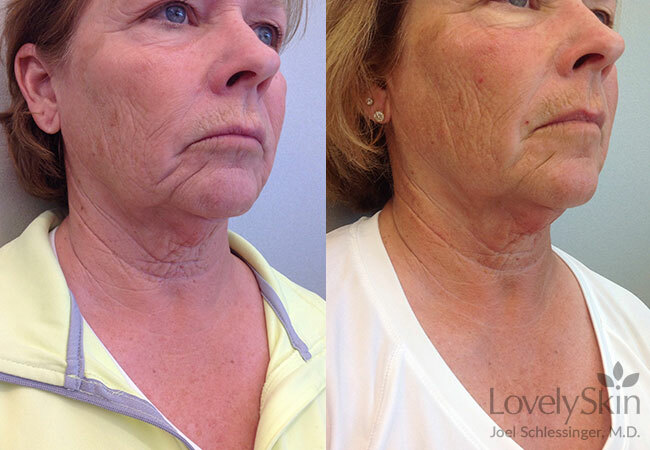 Contact LovelySkin Day Spa in Omaha, Nebraska for an evaluation for treatment of your skin condition.